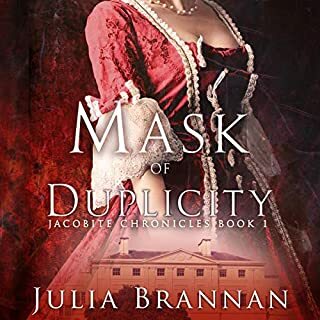 Delilah Swanpoole, countess of Derring, learns the hard way that her husband, “Dear Dull Derring”, is a lot more interesting - and perfidious - dead than alive. It’s a devil of an inheritance, but in the grand ruins of the one building Derring left her are the seeds of her liberation. And she vows never again to place herself at the mercy of a man. They both believe love is a myth. But a desire beyond reason threatens to destroy the armor around their hearts. Now, a shattering decision looms: Will Tristan betray his own code of honor...or choose a love that might be the truest thing he’s ever known? Funny, witty, heartwarming. I loved the relationships between the ladies. 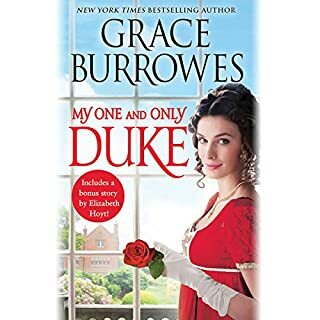 What a wonderful start to a new historical romance series by my favorite romance author. And Justine Eyre was the perfect compliment. Yay Harper Collins for getting this 100% right. Such an enjoyable change from spunky virgins and rakish dukes. A widow and her husband’s former mistress pool their resources to open a genteel boarding house after they are both left without support. An amusing and somewhat eccentric group of boarders end up living at the Grand Palace on the Thames. Of course there is a dashing hero with a secret motive for moving in, a pair of villains, a pair of silly young lovers, a clumsy maid, and more, all making their way to a satisfying conclusion. Justine Eyre does her usual excellent job. Looking forward to more books by Julie Anne Long becoming available in audio. new guests arrive - same vetting with ladies on the sofa - lots and lots of tea - Captain Hardy out on business - rinse and repeat. Predictable and boring. The ladies are stuck inside the Grand Palace (!!!) and the air is getting stale. No surprises. No moving scenes. Not even entertaining or distracting enough for my commute to/from work. JAL has written the historic romantic masterpieces The Perils of Pleasure and Like No Other Lover (no Dukes) and compared to those, this is Taco Bell versus Fine Mexican Dining. It makes be very, very sad. Also, Justine Eyre is terrible at doing men's voices. She ruined the Matrimonial Advertisement for me. Any book with her as the narrator is now on auto-ignore.